I come from Maharashtra, a state in Western India. It shares its border with other states like Karnataka, Andhra Pradesh, Madhya Pradesh, Chattisgarh, and Gujarat. Needless to say, you can see the influence of different states on the local cuisine in the cities on the border. Kolhapur, a town which is closer to Karnataka, is famous for four things: Goddess Mahalakshmi Temple, handmade leather shoes, beautiful Maharashtrian jewelry and its fiery cuisine. 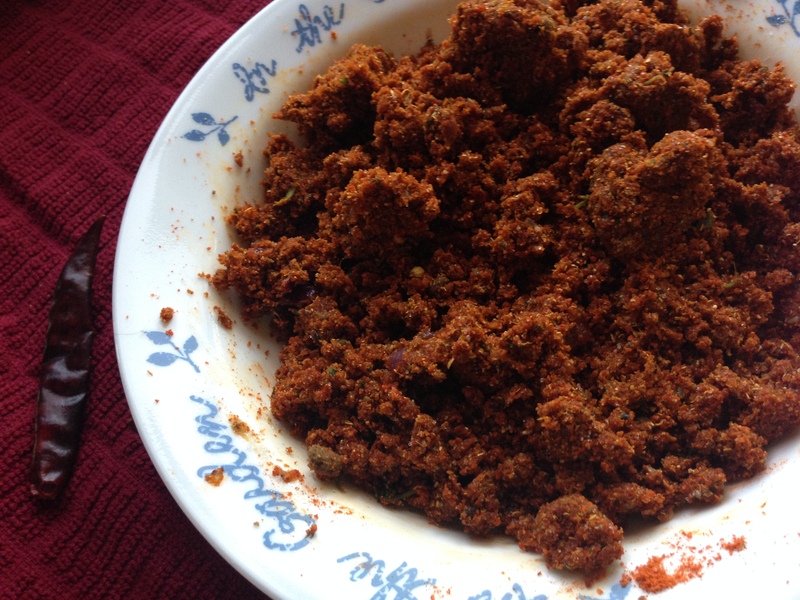 Today, I am sharing a recipe for making a masala (a mixture of spices) that is used to make famous Kolhapuri Mutton. You can also use it for vegetarian dishes such as Kolhapuri Misal( I will post my recipe for this soon) and Veg Kolhapuri. This is my Mom’s recipe, I think she is the best cook in the world. 1. 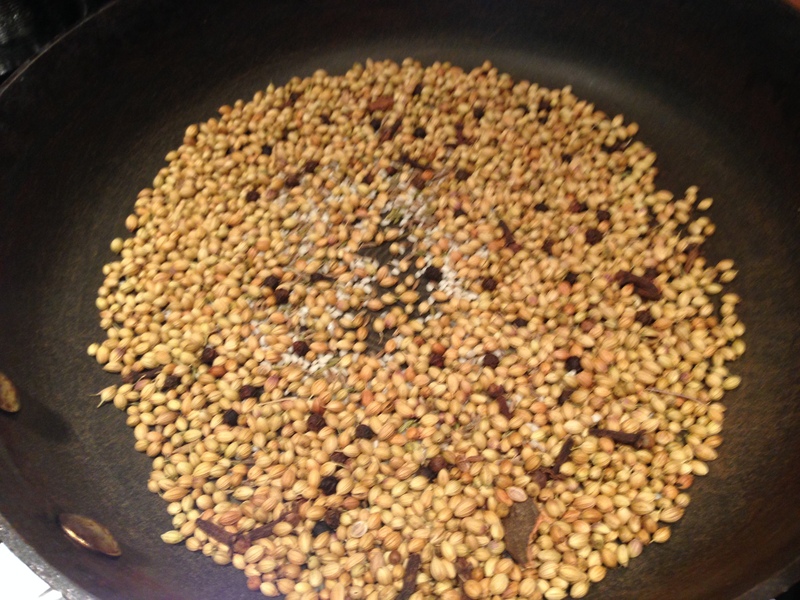 Toast all the dry masala in a dry pan. Let it cool. 2 Saute onion & garlic in oil till nicely browned. Add cilantro and turn off the heat. 4. 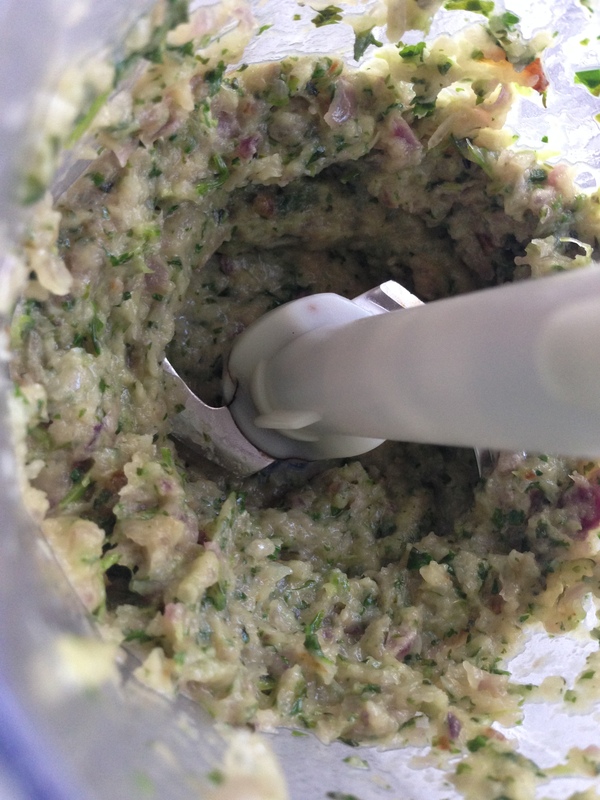 Grind the wet masala separately. 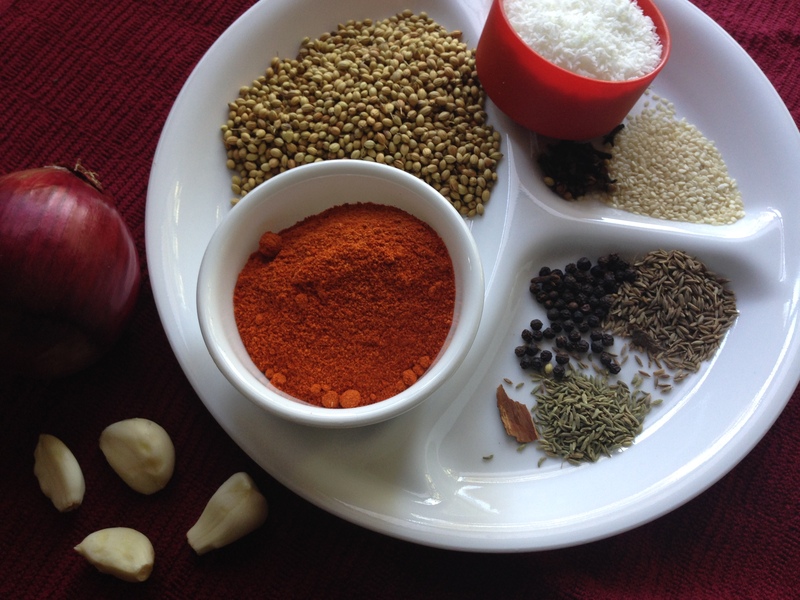 Now mix the wet and dry masalas with the red chili powder. 5. Once cooled, keep it in the fridge until ready to use. This mixture should be used within 7 days. 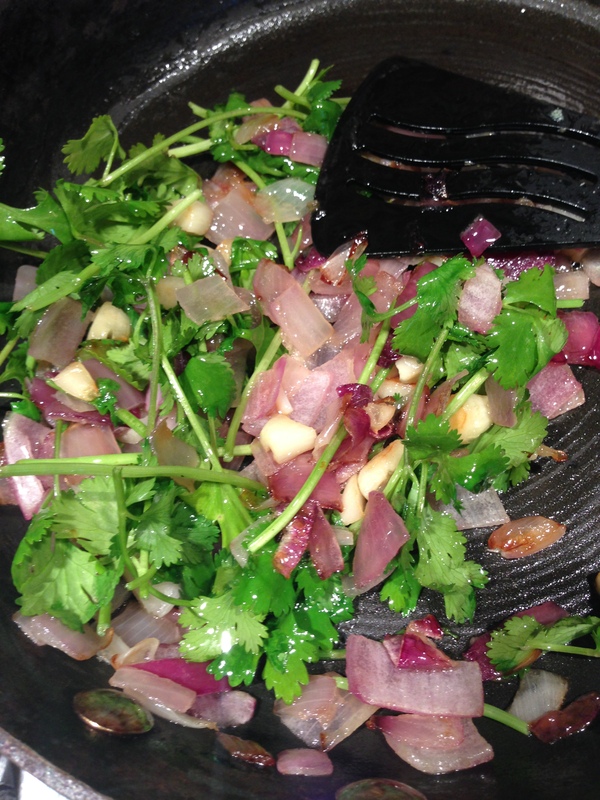 If you would like to keep it for longer, use deep fried or dried onion and leave out the cilantro. Tiramisu…need I say anything more?